When it comes to indoor air quality, many Folsom and Sacramento residents find themselves in the dark. The quality of the air inside your home isn’t always something that can be determined at face value, but there are plenty of signs that can point the presence of issues. There’s nothing more important than maintaining a safe and healthy home environment for you and your family. Issues associated with poor indoor air quality will only grow over time, which is why taking steps to prevent problems from worsening is so essential. Many people go years suffering from health problems associated with indoor air quality issues. There’s no reason for this to happen if you take action and make the right decisions. In many ways, your home’s ductwork can be seen as its lungs. Properly sealed ductwork keeps undesirable air out of your living space, ensuring a healthy, comfortable environment for you and your family. Ductwork that is dirty or is not well-sealed, however, can create a host of issues that are bound to worsen as time passes. The solution can be found in duct cleaning and sealing. 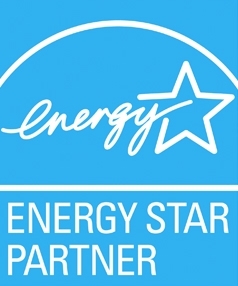 California Energy Services is proud to offer home energy audits to customers in the Folsom and Sacramento area. We can diagnose issues within your home, many of which may point to indoor air quality issues. From there, we’ll work to create a plan so that problems like these never happen to you again. As your local whole-home performance experts, we’re ready to take on whatever air quality issues might exist within your home. Don’t let air quality issues persist. Contact us today to learn more & to schedule an energy audit to get started on giving your indoor air a boost.